A guest on Royal Caribbean's Liberty of the Seas is reporting the ship is experiencing propulsion problems that is forcing the ship to travel at a reduced speed. As a result of the slower speed, the ship has chandelled a scheduled port stop in Ocho Rios, Jamaica and will instead head back home to Fort Lauderdale. The report has not been confirmed by Royal Caribbean yet but the guest did indicate Royal Caribbean is issuing an onboard credit of $100 for inside staterooms and $200 for balcony staterooms for the inconvenience. 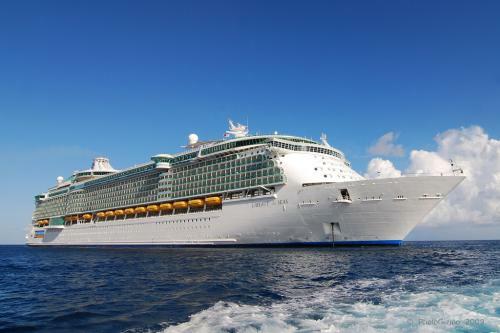 Liberty of the Seas is not the first Royal Caribbean ship to experience problems like this. In December 2014 Freedom of the Seas had propulsion problems; In March 2014 Adventure of the Seas had propulsion problems; and in November 2013 Allure of the Seas had propulsion problems. In the case of all these problems, the propulsion system had to be repaired in port as part of a drydock. Hat tip to Cruise Fever for alerting us to the story.